If you struggle with eczema you need to know that it is possible to get rid of eczema without medication. Raspberry seeds are a good source of omega 3 and omega 6 fatty acids, and good form of alternative medicine for patients in the search for a natural and better treatment options. Natural beauty starts with beautiful skin, as nutrition makes a significant contribution to overall skin appearance, eating raspberries is a natural ways to get beautiful skin, mainly due to the presence of anthocyanins in them. 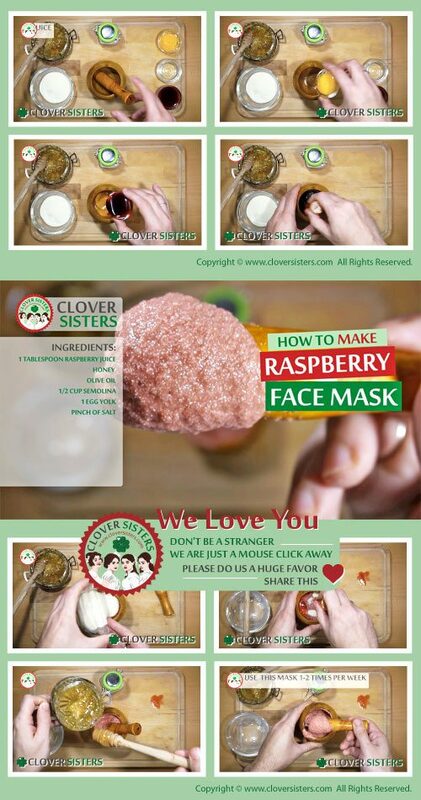 If you want to revitalize your tired, dull skin to look radiant and smooth enough to reflect light, include in your routine an easily prepared raspberry facial mask. Mix 1 tablespoon of raspberry juice with the honey and olive oil and then stir in 1/2 cup of semolina, one egg yolk and pinch of salt. Apply on skin and leave it on for about 15 minutes. Rinse it off with lukewarm water. Use it at list 3 times a week.